The Coastal Carolina FOP Lodge 12 is glad to announce our brand new website! We welcome you to learn more about us and browse through our events and articles. Whether you are on your smart phone, a tablet, or on your home computer – our website allows you to quickly and easily reach us. 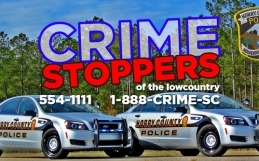 Our Fraternal Order of Police Lodge is based in Myrtle Beach, South Carolina. 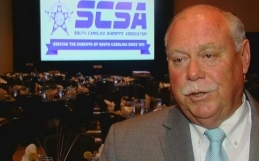 We serve the northeast corner of South Carolina and our members include both retired and active law enforcement officers living in the counties of Horry, Georgetown, and Marion. We know it is important for our new members, potential members, and the community to be able to quickly learn about us and contact us when needed. We’re here to work for the betterment of our members and our profession. We also work to benefit the communities in which we are sworn to protect and serve. 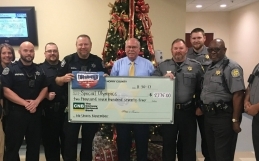 We volunteer in our free time and collect donations for funding our various charitable programs – and for our general fund for lodge activities – such as: Cops and Kids, the Special Olympics, Waccamaw Youth Center, our Annual Memorial Service for fallen officers, the Officer In Distress Fund, and our Officer Educational Fund. It was a necessity that we improved our online presence to announce our Lodge and the causes we support. In April of 2017, we began working with Chris and Jerri of GINGALLEY Web Design & Promotions. They created and prepared everything that we needed in order to have an improved website and other supporting features. While we were busy working at our existing jobs, attending events, and on the development of our growing membership community; the web design team was at work explaining what we do in words and graphics. SCFOP Lodge 12 invites all area law enforcement officers to attend a meeting and consider joining us as an active FOP member. 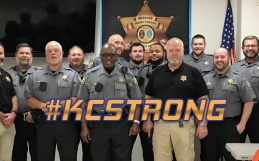 We welcome you to join the Coastal Carolina FOP Lodge 12 if you are a certified law enforcement officer, or if you qualify for an associate membership. Our monthly meetings are usually held on the fourth Thursday of each month and we look forward to meeting you. If you would like more information about Lodge 12 or the FOP in general, please don’t hesitate to Contact Us.